The Streamer Spotlight article series on INN seeks to (re)introduce our audience to unknown, not so well know, and very well known streamers who are passionate about sharing Star Citizen with others. 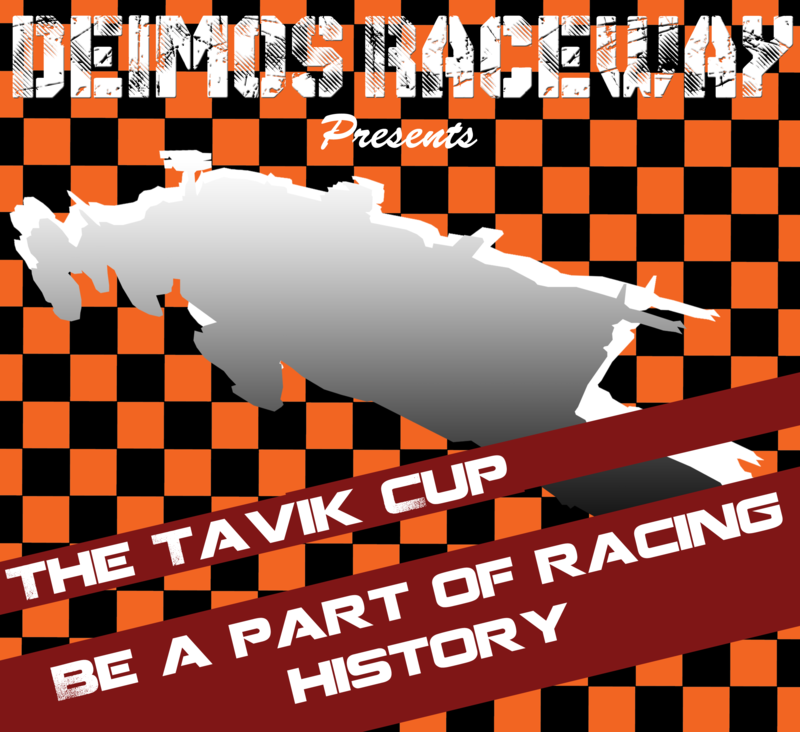 We will introduce streamers from around the world and across multiple streaming services. These articles are not official ‘endorsements,’ but we do hope you enjoy learning (more) about them and their streaming efforts. You might even decide to give them a follow. 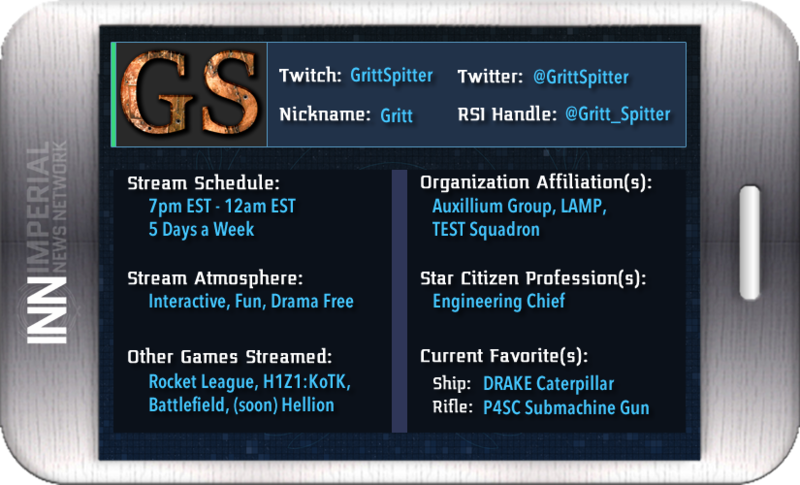 For the first streamer spotlight, we had a chance to speak with GrittSpitter. GrittSpitter has been streaming Star Citizen, and a few other games, for about three months. He is relatively new to the streaming trenches, but he has developed a dedicated following and made some nice community connections. His streams are pretty casual, always friendly & fun, and quite informative for those seeking to know more about Star Citizen or the community. With the impending release of Star Marine in December and the upcoming major milestones in Star Citizen, like 3.0, I wanted to put myself out there as a resource for new arrivals to the game. As a long time backer who has watched development closely, I thought I could be helpful to interested viewers who might have a hard time understanding the scope and design of Star Citizen. So really, I started streaming to help connect people to the game, explain things, help the community and have a fun time doing it. I was already playing the game, so why not talk and play and help people. I enjoy that I get to constantly geek out about PC gaming with other gamers and talk about Star Citizen with viewers. It’s always a blast. I can say that I am very satisfied with streaming. Of course, I’m never really satisfied with the stream itself. I will constantly be tweaking and trying to improve the quality of how and what I stream. I think everyone tries to do that. But I have no real plans for anything else beyond the giveaways and times and format I currently do, well, unless something interesting pops up, then I will see. What is your main organization in Star Citizen? I am undecided at the moment of a main organization, but I am currently affiliated with some great groups: Auxilium Group, Lamp, and Test Squadron. I’d love to dabble in it all at some point, but mainly exploration and serving as engineering crew (I want to be Scotty!). I grew up a huge fan of the Wing Commander series. I actually stumbled upon the Star Citizen Kickstarter when I had a touch of nostalgia and Googled “current games like Wing Commander.” I am happy I did. To be honest, there is no “one thing” that I’m most hopeful for, I’m incredibly excited for the entire thing. The Caterpillar is my new favorite ship. It is amazing. The FPS fan in me is loving Star Marine and the ballistic rifle. Though I’m more interested in exploring the universe, when that time comes, than I am in pursuing frequent FPS action. Still, if/when the time comes, I will attack or defend my ship and crew as needed. I dabble in a lot of things. I enjoy 3D modeling, cooking and baking, carpentry, and sailing. I’d like to think I’m pretty well-rounded in my hobbies. I’m also an avid reader. I am currently on book 6 of the Expanse right now. It is awesome! Well, let’s see, I have been a Star Citizen backer since July 2013. Many people call me “gritt” for short. The best way to get get a hold of me is on Twitter or you can join my Discord channel. There is always somebody around in there. And thanks for doing this. I’m honored to be the first Streamer Spotlight on INN. nice article! Gritt is pretty cool, and has it ALL figured out! Pour yourself a Grittarita and get in there and check him out!